The presentation will summarize the many decisions of the European Court of Human Rights dealing with minority faiths, and make a case that, although the record is a bit uneven concerning Islam, the Court has done a great deal to protect the right of minority religions to exist and function. Specific cases will be mentioned as well as some specific religious groups that have played a major role in helping develop this important area of jurisprudence. James T. Richardson, J.D., Ph.D., has taught at the University of Nevada, Reno for 48 years, retiring last year. 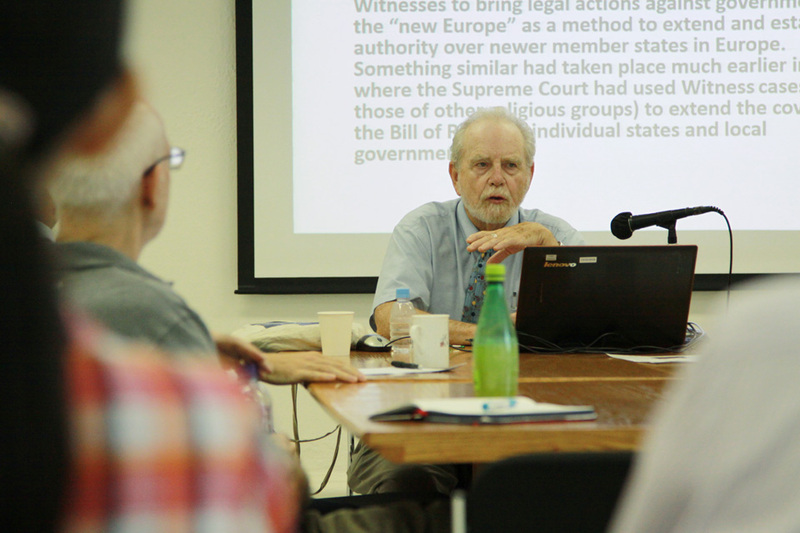 He served as director for 30 years of the Judicial Studies graduate program for trial judges offered by the University. 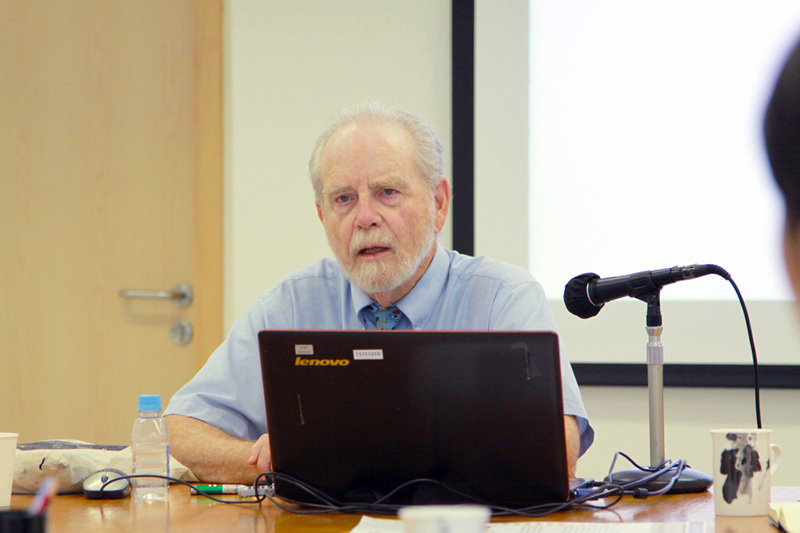 He has done research on minority religions in a number of countries, and has made presentations in over 30 countries based on his work. 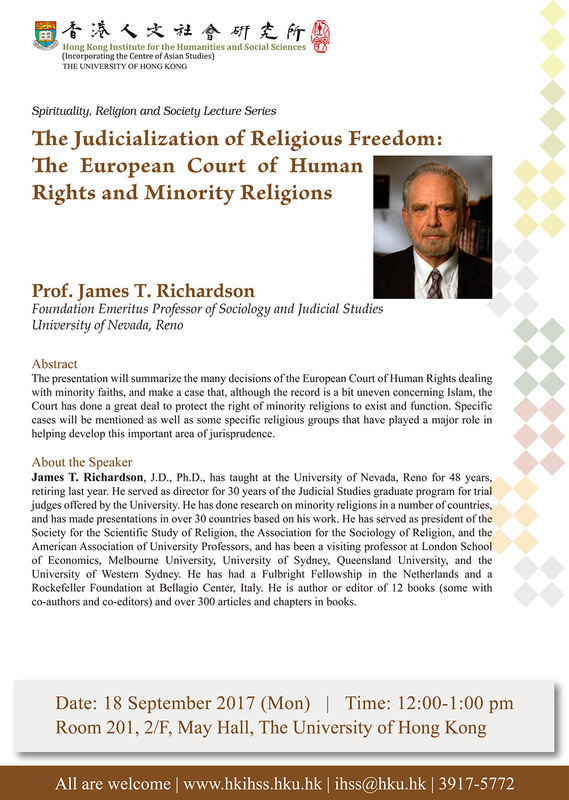 He has served as president of the Society for the Scientific Study of Religion, the Association for the Sociology of Religion, and the American Association of University Professors, and has been a visiting professor at London School of Economics, Melbourne University, University of Sydney, Queensland University, and the University of Western Sydney. He has had a Fulbright Fellowship in the Netherlands and a Rockefeller Foundation at Bellagio Center, Italy. He is author or editor of 12 books (some with co-authors and co-editors) and over 300 articles and chapters in books.